Kennebunkport has an interesting, and diverse, maritime history going back several hundred years. We’re taking an opportunity to celebrate that in this year’s first ever Launch! A Maritime Festival coming to the Kennebunks the weekend of June 17th, 2016. 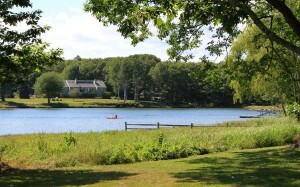 Kennebunkport and the Southern Coast of Maine have been known for centuries for shipbuilding and fishing. In fact, the people who originally lived in the 1802 House Bed and Breakfast, way back in the 1800’s, were very close to the shipbuilding process. If you’ve been to visit us, you know that the river is only two houses away. The reason that this is called Locke Street is because the lockes used to be right here for the shipbuilding that took place along this this river. The Landing School still stands today and teaches ship/yacht building to people from all around the world. The original Kennebunk Landing near Durrell’s Bridge, was home to more than 20 shipbuilding businesses in it’s heyday, with the earliest shipbuilding happening as far back as the 1600’s, Once the ships were built, they would have to rely on the tide to float them down the river and out to sea. By the 1840’s good sized ships were being built at the Landing, some weighing in at more than 600 tons. Launching these vessels on the river had always been challenging due to the winding narrow waterway and drawbridges that had to be navigated. This difficulty eventually led to more and more of the ship building being done nearer to the mouth of the river. The Great Depression led to further decline of shipbuilding in Maine. If you like to kayak, we recommend that you do paddle up the river and have a look at what remains today of those old lockes. In those days, just about everybody in this area was involved in maritime activities in one form or another. Whether working in the shipbuilding, supplying the materials, serving on board or as a merchant in trade using these valuable shipping lanes to move your product. And of course, many were in the fishing business. That’s just some of the history that we’re honoring with our three day Launch! Maritime Festival. Activities will include the Blessing of the Fleet (a tradition to ensure a safe and bountiful season). There will be a Boat Parade, a Boat Race and a Clam Bake. For land lovers, there’s also a Sailors and Sirens 5K run. Just long enough for a weekend getaway! There will also be craft fairs and historic tours inside some of the old sea captain homes and outdoors where the maritime history was made. Throw in celebrations at our shops and restaurants and you’ve got a great weekend to be in Kennebunkport. Availability at the 1802 House Bed and Breakfast is good so either book your stay online or call the Inn to make your reservations. We look forward to seeing you here! Special thanks to Joyce Butler and her “Kennebunkport; The Evolution of an American Town” which is a great read about the history of this beautiful area. This entry was posted in Historic Kennebunkport, Local Information, Uncategorized by 1802House. Bookmark the permalink.